Personalised Engraved Crane Money Box. This beautiful silver plated money box measures 13 x 7 x 9 cm. 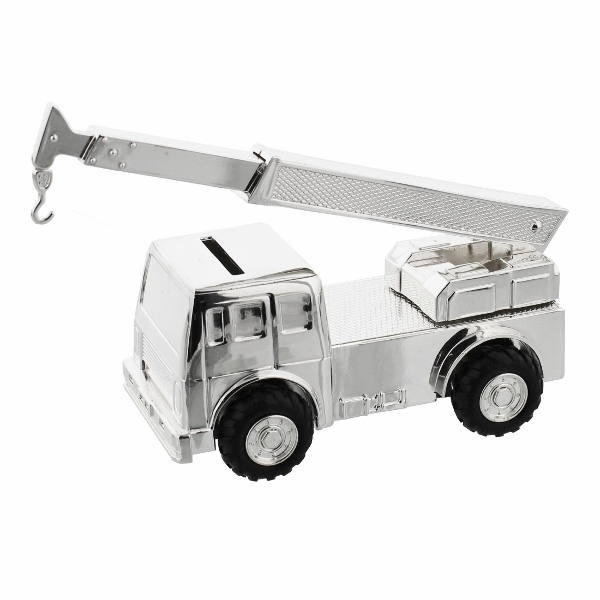 Your engraving will be on top of the cab of the crane on either side of the coin slot. It has a fully operational crane arm and wheels!